London is normally one of the most expensive cities in Europe to fly to. But right now, low-cost carrier Norwegian is offering great deals to LGW from several cities in the US, including New York (JFK), Boston (BOS), Los Angeles (LAX) and Oakland (OAK). Slightly more expensive flights are also available from Fort Lauderdale (FLL) and Las Vegas (LAS). All flights are nonstop and operated by the carrier’s 787 Dreamliner aircraft. This sale starts in January and has many dates available through March 2017. Keep in mind that Norwegian is a low-cost carrier and will charge you for certain things that are not typically an additional cost on other airlines. However, even with these extra fees, the total cost is still significantly lower than what other carriers are charging for similar flights. Norwegian’s economy product is comfy on the 787 Dreamliner. Don’t forget that you can find even cheaper fares by completing your booking on the Norwegian version of the website (select “Norge” as the language). Prices will be displayed in the Norwegian Krone, but you can save money on flights this way — the Boston to London flight for example will drop from $358 to $304 round-trip. 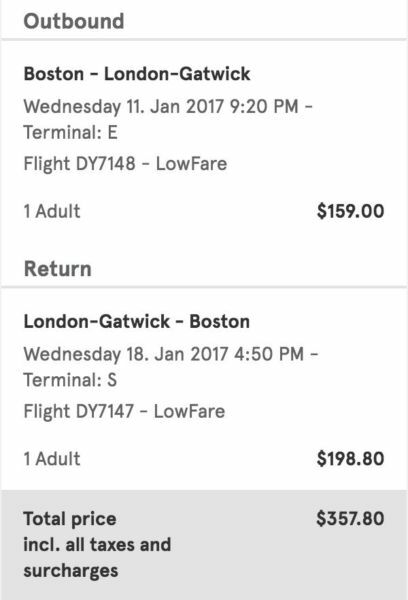 Boston to London for $358 round-trip. 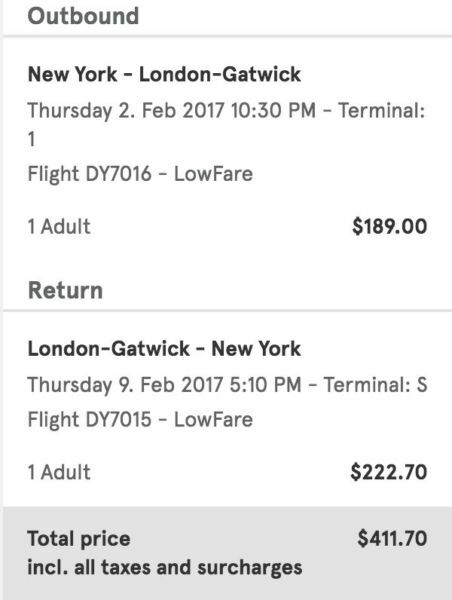 New York to London for $411 round-trip. 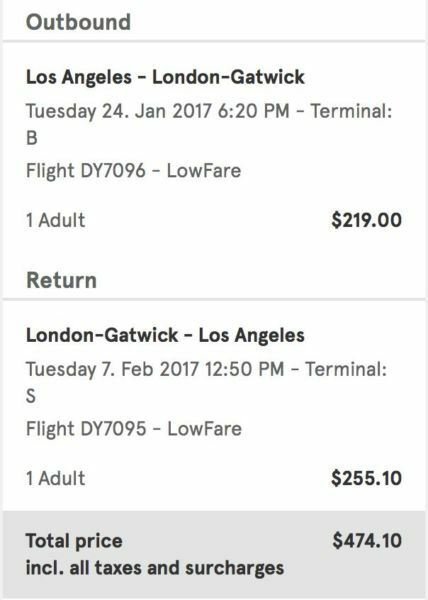 Los Angeles to London for $474 round-trip. 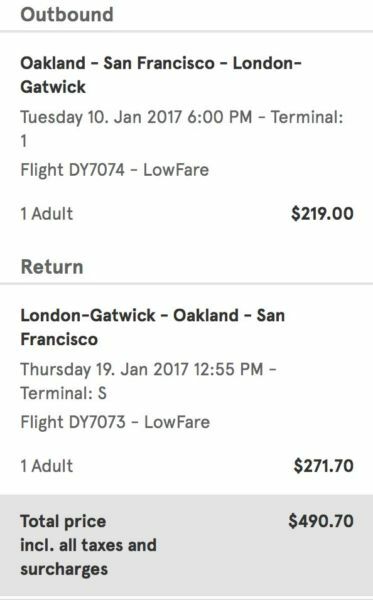 Oakland to London for $491 round-trip. Don’t forget to use a credit card that earns additional points on airfare purchases, such as the Chase Sapphire Reserve, American Express Premier Rewards Gold or Citi Prestige (3x on airfare) or the Chase Sapphire Preferred Card (2x on all travel purchases). Check out this post for more on maximizing airfare purchases.